Ħaġar Qim (Maltese pronunciation: [ħadʒar ˈʔiːm]; "Standing/Worshipping Stones") is a megalithic temple complex found on the Mediterranean island of Malta, dating from the Ġgantija phase (3600-3200 BC). The Megalithic Temples of Malta are among the most ancient religious sites on Earth, described by the World Heritage Sites committee as "unique architectural masterpieces." 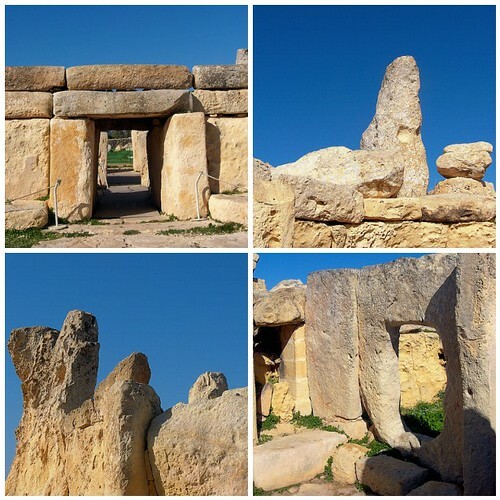 In 1992 UNESCO recognized Ħaġar Qim and four other Maltese megalithic structures as World Heritage Sites. V. Gordon Childe, Professor of Prehistoric European Archeology and director of the Institute of Archaeology in the University of London from 1946-1957 visited Ħaġar Qim. He wrote, "I have been visiting the prehistoric ruins all round the Mediterranean, from Mesopotamia to Egypt, Greece and Switzerland, but I have nowhere seen a place as old as this one. "Ħaġar Qim's builders used globigerina limestone in the temple's construction. As a result of this, the temple has suffered from severe weathering and surface flaking over the millennia. In 2009 work was completed on a protective tent. لا توجد تعليقات لمكان الجذب السياحي هذا.